Iran’s Supreme Leader praises his country’s contribution to the fight against ISIS. Iran’s Supreme Leader, Ayatollah Ali Khamenei, on Wednesday praised his country’s contribution to the fight against the Islamic State (ISIS) group, saying it had helped destroy a “tumor” created by the United States and its allies, including Israel. 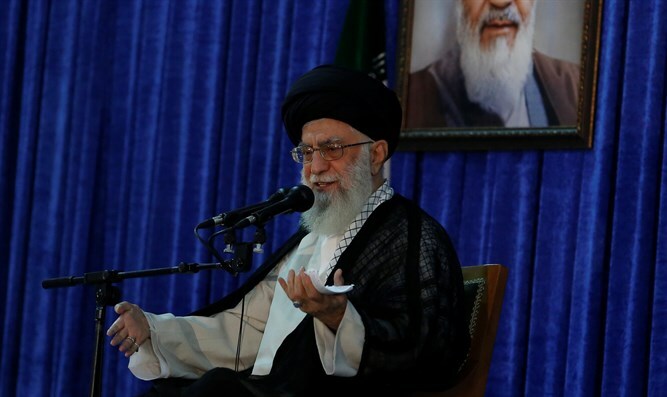 In an address broadcast on national television and quoted by AFP, Khamenei told a gathering of Basiji militia fighters in Tehran that they had “managed to repel and destroy” ISIS. “Successive plots fomented in the region by America, the Zionists, Arab reactionary forces and others have all been thwarted by the force of the Islamic Republic,” Khamenei was quoted as having said. “One of these plots took the inhuman form of that apostate group, Da’esh,” the Supreme Leader added, using an Arabic acronym for ISIS. “Thank God, (it) was destroyed by the efforts of pious men and people who had faith in the strength of the resistance,” he said. Iran has sent thousands of fighters to Iraq and Syria to battle ISIS as well as other jihadist and Syrian rebel groups. Khamenei has several times claimed that the U.S. was behind the creation of ISIS, which overtook large swathes of land in Syria and Iraq in 2014, declaring a “caliphate” in those areas. “Americans themselves created Daesh, but now that the terrorists have been defeated by the Iraqi government and nation, they pretend to favor and support such a major development,” he claimed last month. He has insisted his country will not negotiate with the United States and must stand strong against Washington on the region’s conflicts.